The honey gift box includes a one pound jar raw wildflower honey, a handmade skep beeswax candle and a bar of lavender and honey soap. A hand made skep beeswax candle and a bar of lavender and honey soap are also included. When you light the clean burning beeswax candle you will enjoy the sweet fragrance of a beehive in your own home. You will be refreshed every time you wash with the aromatic lavender soap. 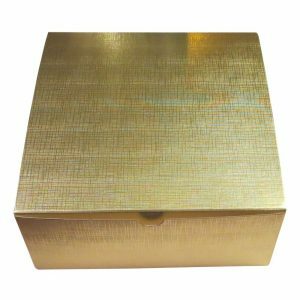 This elegant golden gift box reflects the quality of the products it contains. This honey was produced by my bees in my backyard in northern Illinois. I keep a small number of hives and never use any pesticides or other chemicals in the hives. 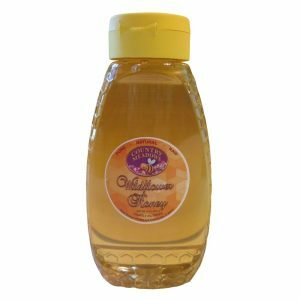 This honey is as pure and natural as it gets. The honey is harvested using a step by step process and was gathered by the bees in the spring and summer of 2015. A gold foil linen gift box completes the package. A one pound (1 lb) jar of country meadows raw wildflower honey.